Satcom 1, 2, 3, 3R and 4 were the first generation of geostationary comsats built for RCA Americom. These satellites were built by RCA Astro using their three-axis stabilized AS-3000 bus, which became the base for several other comsats too. They featured a 24 C-band transponder communications payload. The antenna featured four gridded overlapping reflectors. The satellites required the development of a more powereful version of the Delta launch vehicle, the Delta-3914, which was partially financed by RCA. Satcom 1 was launched on launched 13 December 1975. It was replaced in summer 1983 by Satcom 1R and was finally put in a graveyard orbit in June 1984 and turned off. Satcom 2 followed on 26 March 1976. It was replaced in fall of 1983 by Satcom 2R and then was turned off and moved above synchronous orbit. Satcom 3 was successfully launched on 7 December 1979, but the satelite was lost, when the apogee engine was fired. Satcom 3R was orbited on 19 November 1981 as a replacement for Satcom 3. It operated a 131° West. 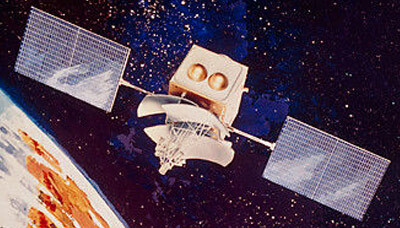 Satcom 4 was launched on 15 January 1982 and placed on the 82° West position. This series was succeeded by the advanced Satcom series.